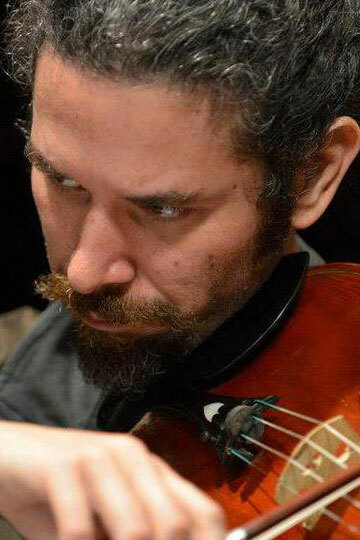 A native Texan, violist Eliseo Rene Salazar has served as Principal Viola with the Houston Grand Opera and Houston Ballet Orchestra since January 2003. Mr. Salazar attended the Cleveland Institute of Music where he studied with Mark Jackobs of the Cleveland Orchestra and received his bachelor’s Degree. He began his graduate studies at Southern Methodist University with Barbara Sudweeks and continued at Indiana University with Atar Arad where he received his master’s Degree. Mr. Salazar has also studied with Robert Vernon, Donald McInnis, Alan DeVeritch, and Ronald Neal. He is an avid chamber musician and has attended numerous summer festivals including the Taos Summer Chamber Music Festival, Music Academy of the West, and Spoleto USA Festival. He currently spends his summers in southern Oregon where he plays with the Britt Festival Orchestra.